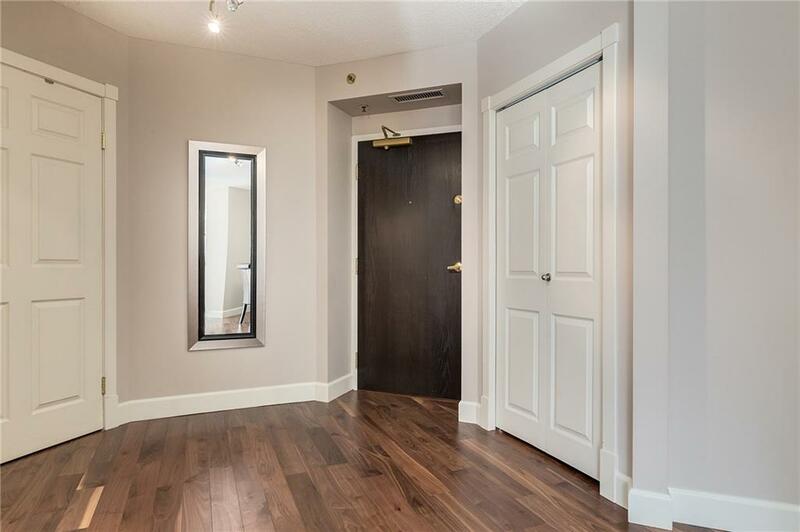 Start living your condo lifestyle today in this finely detailed, beautifully renovated & updated suite at Chateau La Caille. 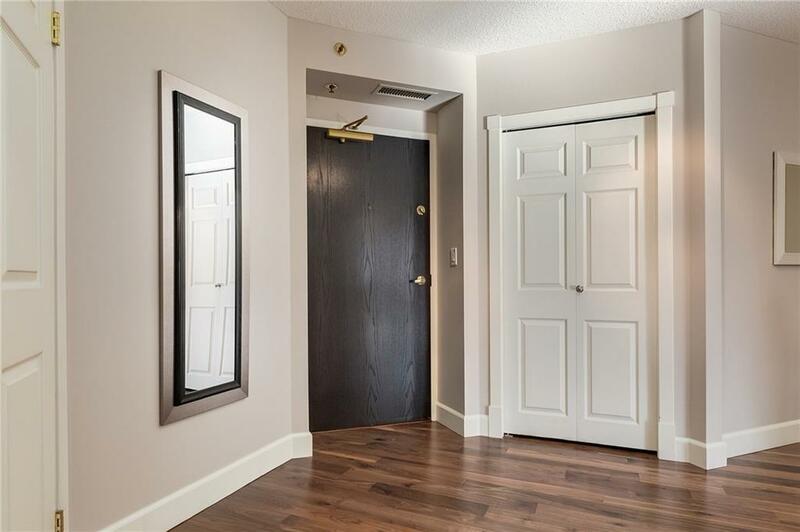 This bright & sunny, 1 bdrm + spacious den suite is sure to please. 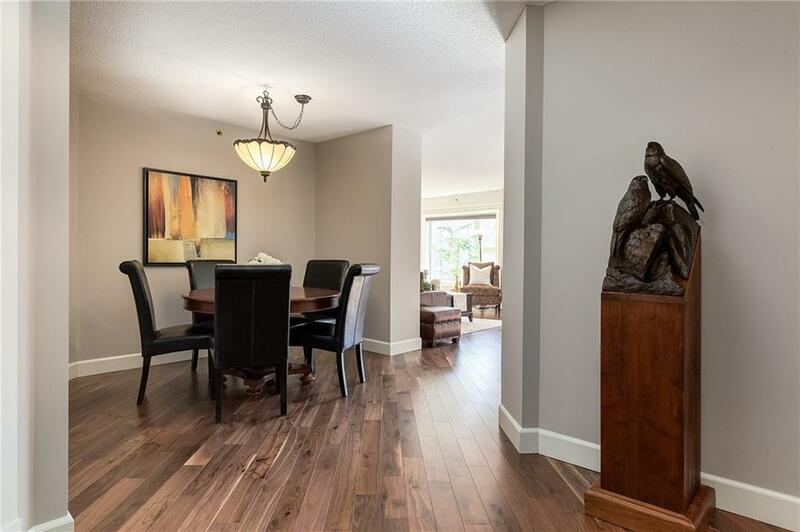 Gracious floor plan offers ample living space w/a spacious dining area, living rm w/gas f/p, sunny den/home office, eat in kitchen, balcony w/ BBQ gas line, master bdrm w/5 pc ensuite, insuite laundry/storage. Updates incl. gleaming new walnut floors, chefs dream kitchen w/Bosch stainless steel appliances, extra built-in cabinets & updated granite countertops. Renovated 5 pc ensuite w/large soaker tub, dual sinks, oversized shower w/porcelain tiles, dual shower heads & 10ml glass. Titled parking & large storage locker incl. 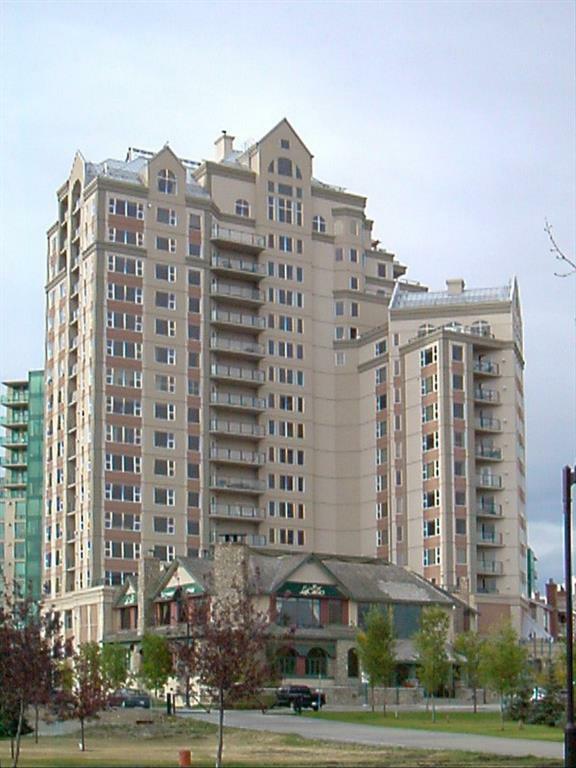 Chateau La Caille offers first class concierge service, full A/C, & is located in a private quiet cul-de-sac facing the park & pathways, overlooking the Bow River, steps to Prince's Island Park, Peace Bridge, downtown core, restaurants, shops & entertainment venues. Call to View Today!